Branding For is an online school where you learn to build successful brands. We offer a wide range of inspiring and carefully designed courses that make learning fun. We are recognized practitioners and experts in branding. We are dedicated to training and inspiring students, entrepreneurs and executives around the world. Throughout the courses we share our processes, approaches and best practices. We’ve already helped hundreds of companies, let us now help you. BRANDING FOR / SMALL BUSINESS Our courses for small businesses are designed to provide real-time expertise across a wide range of brand-related topics including strategy, naming, design and much more. Brand your next move This is a complete A-Z branding program that will help you unlock your unique potential and accelerate business growth. Who is this course for This course is for entrepreneurs and executives in any sector of the economy who want to leverage their brand as an asset to propel business growth. It is also aimed at students who are looking to develop a career in marketing, branding or related fields. What you get Worldclass knowledge We've taken what we've learned throughout our careers from building hundreds of brands around the world and condensed into this comprehensive branding program. Proven methodology Throughout the program we will share our approach and tools so that you get a clear, easy to understand step-by-step process for creating and building your brand. Practical examples This course is not just another course on the theory of branding. We have actually woven a real life example into every lesson so that you grasp exactly how to apply what you learn. Dedicated coaching We are here to help you understand the key concepts behind building a great brand. We will answer your questions and provide guidance, encouragement and feedback. Anita is a creative director and educator in branding. She is currently principal at Azura Design in New York City, where she leads strategic and creative projects. 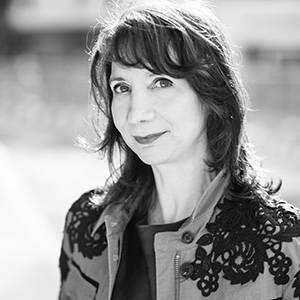 In addition, Anita is on the faculty at the prestigious School of Visual Arts, where she teaches popular branding courses such as brand identity and experiencing brands through interaction design. She has established herself as an expert and accomplished creative director in the field of graphic design and branding. Before Azura Design, she worked as a creative director for global branding firms such as Enterprise IG (now Brand Union) and Interbrand. Anita has led numerous high-profile design and branding projects as well as award-winning and global branding campaigns for an impressive roster of clients. Born and raised in Montreal, Canada, Anita is fluent in French and Italian. She received a design degree (diplôme d’études collégiales) at Dawson College, Montreal and at Art Center College of Design, Pasadena, California.